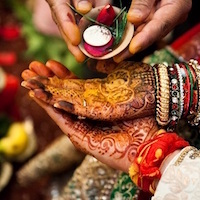 When you think of the usual Big Fat Indian weddings, a few names come to mind that has changed the course of weddings for the brides. 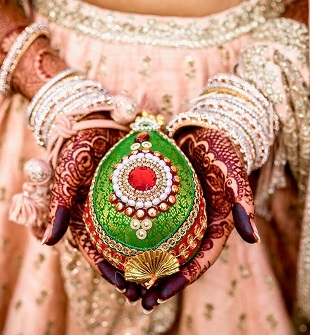 From jewelry to lehengas to stylists, let’s explore the treasures of each section of Indian weddings for you to make a decision smoothly. 1) Sabyasachi (duh): Royal, elegant and classy AF! Let me just start by saying that if there’s a Beyonce of the Lehenga world, it is SABYASACHI. I’ll be honest with you, whenever they post something on Instagram; I take a good 10 minutes staring at the pieces in awe. How can someone create something so beautiful? In fact, beautiful is too shallow a word to describe how I feel about his collection. I mean with the diverse touch of ethnicity, and most of all, his understanding of art makes his work too good to be true.the color palette, innovative designs, choice of fabrics, an Indian wedding lehengas. Straight up, Sabyasachi’s the real reason why I wanna get married someday and my parents should totally thank him every day for that. To make heads turn and make everyone talk about how stunning of a bride you make, you should totally go for this ace designer. 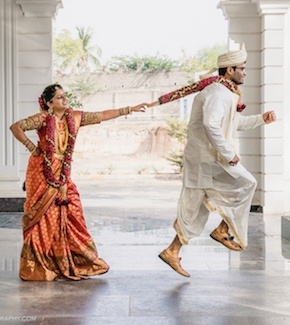 Indian wedding lehengas won’t be Indian weddings anymore without him. He is definitely Bollywood’s most loved Fashion designer and is known for his gorgeous ensembles in Traditional Indian colours, his new-age designs with some Indian touch for the modern brides-to-be and his embroideries that steal our hearts away. We promise you, making a stunning and glamorous bride comes effortlessly. That’s Manish Malhotra for you. “I feel an actress’s life is never complete if she doesn’t walk for Manish Malhotra once,” says Alia Bhatt. And we couldn’t agree more, Bhatt. 4) Anamika Khanna: The rebel of the fashion world? Sonam Kapoor, the girl who can never go wrong with her dressing sense (kudos to Rhea Kapoor though) is spotted numerous times in AK! Another one of Bollywood’s fav, Tahiliani’s work basically revolves around neutral palettes and then saturating vibrant borders along with heavy work like Zari, Chikankari and Swarovski crystals. His uniqueness comes from impeccable silhouettes, colour combinations and draping styles which we are a fan of! His creations just shout ‘made to rock Indian weddings’ all over. From pink and subtle to dark and glamorous, there is something in store for every bride. Anyone who has seen Bajirao Mastani has been lusting over the outfits worn by Deepika Padukone designed by none other than the amazing Anju Modi. She takes inspiration from India’s various cultures and heritage in terms of design and processing by endorsing weaving techniques, vegetable dyeing, block printing and traditional embroidery which makes everything about it Indian in the purest sense. A modern design with an Indian history is the core thing for Anju Modi. Of course, there are a lot more worthy designers in the Indian weddings game but these were our top 6 in the list! Make sure to let us know in the comments section about your favorite designer of all time.